The world’s eight leading whiskey associations will gather in Kentucky next week for a historic summit to discuss trade issues that threaten the growth of the international industry. KDA President Eric Gregory said this first-ever gathering of the world’s whiskey associations will serve as an open exchange of ideas, strategy and a shared commitment to preserving free and fair trade. Now more than ever, groups are being asked to communicate directly and speak with a unified voice. “The global whiskey industry has been enjoying an unprecedented level of success to the benefit of our legendary producers, consumers, countries and local communities,” Gregory said. “It’s critical that we maintain this momentum and ensure that world leaders understand the deep economic impact of whiskey and how it will be affected if this unfortunate trade war escalates or continues to extend. The group will meet July 25-26 in Louisville, ending with a press conference and ceremonial planting of a white oak tree outside the Frazier History Museum on Whiskey Row, the site of the upcoming Kentucky Bourbon Trail Welcome Center. Kentucky Bourbon is an $8.5 billion industry that employs as many as 17,500 Kentuckians. Bourbon supports an annual payroll topping $800 million and generates $825 million in tax revenue for the state. The bourbon industry is in the middle of a $1.2 billion building. 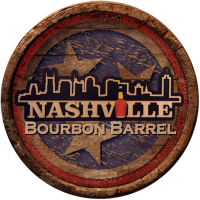 There are now 39 companies operating 52 distilleries in the Commonwealth making 6.8 million barrels of aging Bourbon – all modern records. Distillers also paid a record $19.2 million last year in barrel taxes that fund critical local programs such as education, public safety and health.